First stir fry meat, Vegetables etc. Then add some broth and bring it to the boil. Finally, add the Fuzhou dried slice pasta and let it cook for a few minutes. 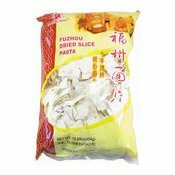 Simply enter your details below and we will send you an e-mail when “Fuzhou Dried Slice Pasta (龍鳳福州麵片)” is back in stock!